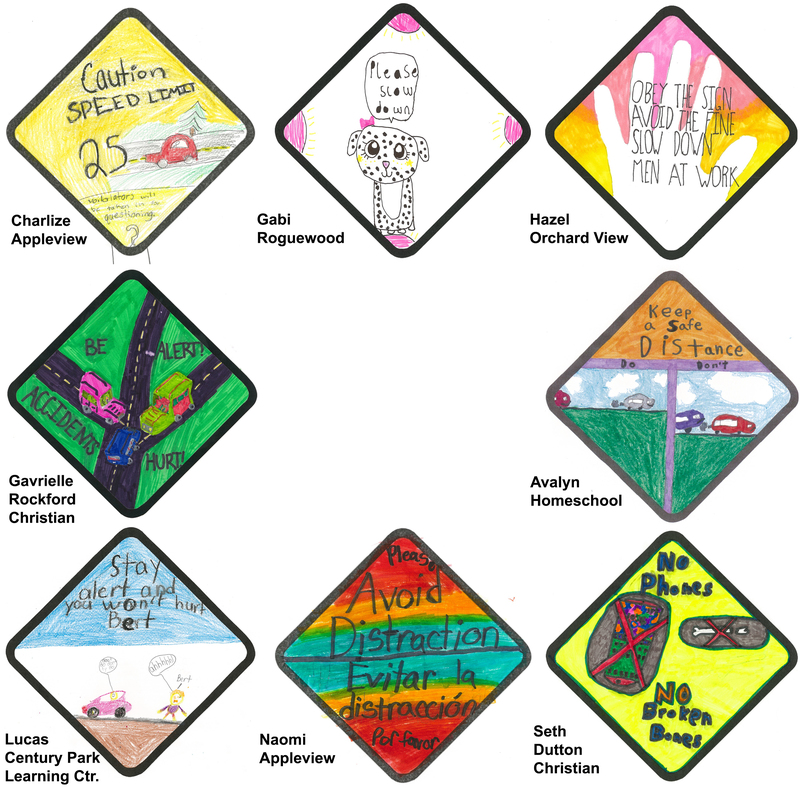 Over 300 third-grade students participated in the third annual Work Zone Safety Poster Contest, sponsored by the Kent County Road Commission and the City of Kentwood Public Works Department. 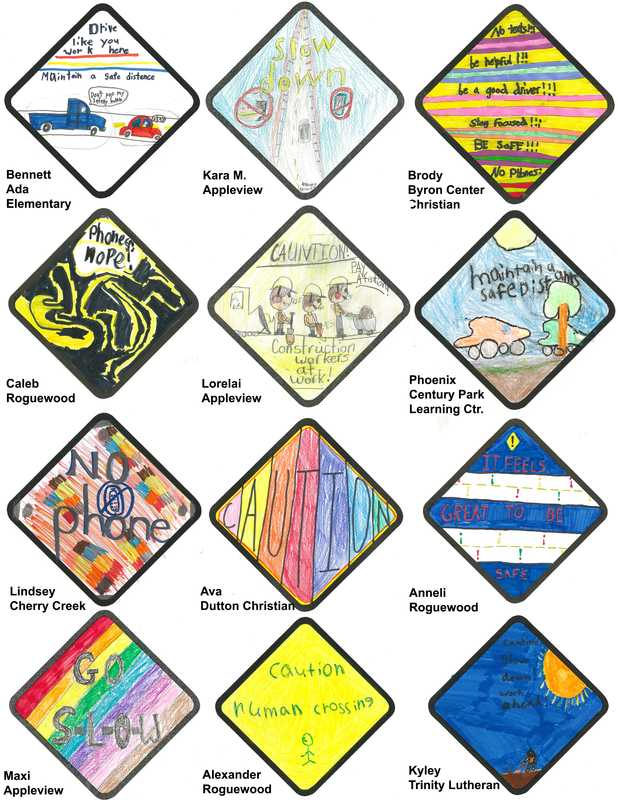 The young artists designed “caution signs” focusing on one of three safety tips for drivers navigating through a work zone. Submissions were judged on creativity, originality, and their ability to strongly convey a message. Twelve students were selected as semifinalists and eight were honored as contest winners. The contest supports the National Work Zone Awareness Week (NWZAW), which ran April 8-12. National Work Zone Awareness Week is an annual spring campaign held at the start of construction season. This year’s theme, “Drive Like You Work Here,” reminds drivers that their actions play a large role in keeping our workers safe. Ultimately, this means using caution and care when driving through work zones. Stay Alert and Avoid Distractions. Dedicate your full attention to driving. Avoid using a phone or changing the radio station. Maintain a Safe Distance. 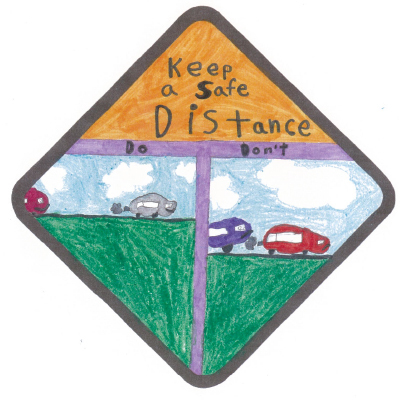 Remember to leave extra braking distance between vehicles. The most common crash in a highway work zone is the rear-end collision, which most often occurs when a vehicle is traveling too close to the vehicle in front of it or traveling too fast for work zone conditions. Obey Posted Speed Limit. Workers are often just feet away, and reduced speeds allow motorists to safely adjust to changing conditions within the work zone. Remember: fines may be doubled for moving traffic violations in work zones. 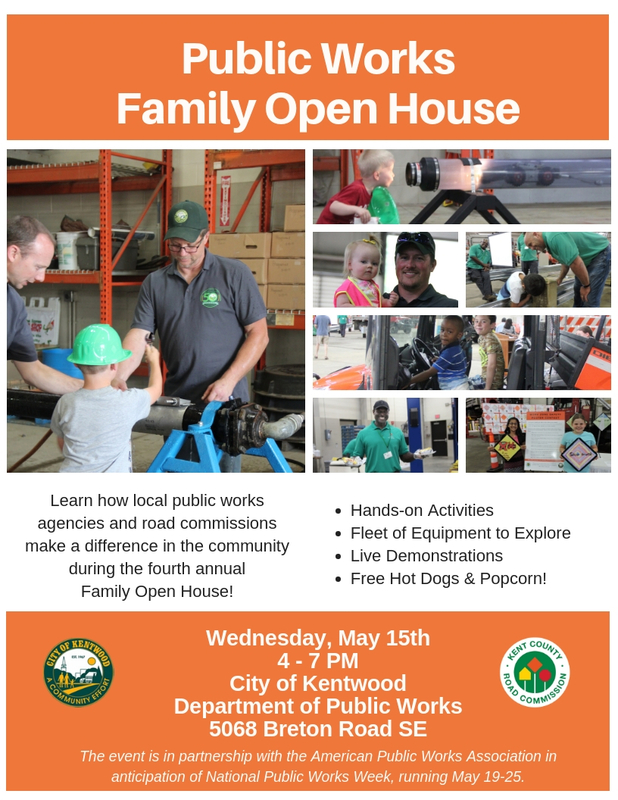 A display exhibiting all of the contest’s entries will be showcased at the 2019 Public Works Family Open House on May 15 at the Kentwood Public Works building, located at 5068 Breton Road SE. An awards ceremony will also take place that evening honoring the contest’s finalists and semifinalists.